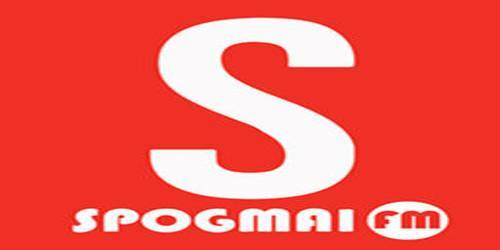 Spogmai Radio is an online radio station, live broadcasting from Afghanistan. This radio station has started broadcasts FM transmissions in Kabul 2008. It is one of the most famous online radio stations on Afghanistan. This Radio broadcast various kinds of Arabic Music and Talk. This Radio station streaming music and programs both in online. 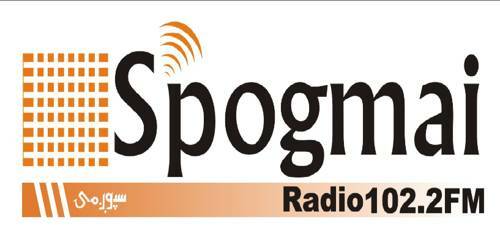 Spogmai Radio presents political, cultural, social, and literary programs at 102.2 FM. Major Part of Spogmai Radio programs is Latest Live News broadcasts every 30 minutes. Political debates, religious-educational lectures, and interviews with analysts on current affairs. Coverage areas: Kapisa, Wardak, Midan, Kabul, Kandahar, Logar, Panjsher, Parwan, and North Zone. Spogmai Radio is popular for its news presentation, the latest news is presented every one hour. Here also broadcasts Political issues, the participants of these discussions share their views and answers queries from audiences. Sports news are also popular in this station, especially cricket updates and commentary are main focused, particularly the Cricket are presented. Audiences are also participating to share their views and comments on a selected topic. Health, educational and religious programs are broadcast regularly. Spogmai News: Every day from 7:00 AM to 9:00 PM latest News is presented every 30:00 Min From Afghanistan, region and around the World. News sources are mainly leading News Agencies and professional journalists. Cricket: This is a weekly sports program broadcasted every Saturday. In this program sports news and updates from Afghanistan and around the globe, particularly the Cricket are presented. The Well-known Figures: In this 30 Min program information are given on cultural, historical, literary and social figures of the country. The program is presented on Sunday. Health: This is a one-hour live health program presented each Saturday. The guest Physician discusses public health issues and answers query from Audience. Spogmai Saar: A one-hour political program where political analysts discuss national, regional and international hot issues. You can listen to the live Spogmai watch program every Monday and Thursday. Jor pa Khair (glad to meet you): This two-hour live entertainment program is broadcasted each Friday. Songs are presented on Audiences choice and also their short messages are broadcasted. The Life of Prophet (PBUH): This is a 30 Min religious program broadcasted throughout the week. Information is given on different aspects of the life of Holy Prophet of Islam Hazrat Mohammad (Peace Be Upon Him). Tale of the Night: In this entertainment program short story, novels and tales are presented. The program is broadcasted 5-times each week at 10:00 PM. Tune to enjoy this radio right now. Liveonlineradio.net has Spogmai Radio– http://www.liveonlineradio.net/afghanistan/spogmai-radio.htm, in its listings. Just click and enjoy.